Reptto ribbon 23 mm wide, double faced satin ribbon 2.4 meter per package .. 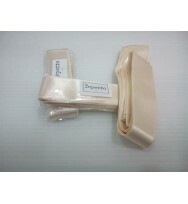 Description Petal pink canvas soft ballet shoes, split sole, sewn elastic bands. For all leve..